2. Canadian Companies that Support Canadians ? Since 1992, Cool to be Canadian has been making efforts to build the skills and self-confidence of young people, to help them identify what makes them uniquely Canadian, and to generate POSITIVE attitudes and opportunities for all Canadians. The Be/Buy/Boost project was developed and designed exclusively for Cool to be Canadian Corp. to focus on helping new Canadian immigrants and aboriginal Canadians. Young people (under 25) will be out in their communities this summer, with Be/Buy/Boost promotional material and simple licensing agreements, signing up local merchants and manufacturers. The 3-B.CA promotional material will give local merchants a marketing edge in retailing their products, and the 3-B license will maintain the integrity of the program and provide producers and retailers the opportunity to "Be Found" in the CoolCAtalogue of CANADIAN MADE products for the whole world to see. But here's the REAL BONUS... young people presenting themselves in a community-minded business-like fashion to their home-town economy will inevitably stimulate interest and awareness of their skills, their attitudes and their abilities. 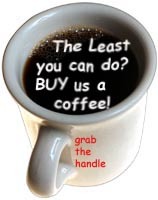 Can you imagine the reception these Be/Buy/Boost marketers will get from local businesspeople? Our guess is that thousands of young people will be offered jobs as employers see what talent and energy resides in their own community, and how the Be/Buy/Boost program is stimulating the local economy. 1. Young Canadians sell the Be/Buy/Boost promotional program to local merchants and manufacturers pocketing a profit for themselves, their school, community organization or sports team. 2. Canadian merchants and manufacturers gain a marketing edge over imported items and foreign owned and controlled retailers by sticking Be/Buy/Boost stickers on items for sale and 3-B promotional material in their publicity. 3. Canadian consumers can easily identify authentic Canadian products in the store, and find licensed Be/Buy/Boost products and retailers by checking the CoolCAtalogue website. 4. The Canadian people, governments and the economy win when we all take responsibility for youth unemployment, reducing job loss in small communities, improving spending habits and gaining the CONFIDENCE that we can solve problems if we Be/Buy/Boost together as Canadians! 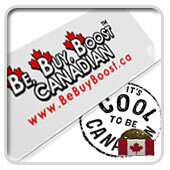 The Be/Buy/Boost program was developed exclusively for Cool to be Canadian Corp. by Perception reEngineering & Design Group and is used under license. ALL RIGHTS RESERVED ©1997, 2004 Perception reEngineering & Design Group.